Change is a process, not an event. The reason 50-70% of change initiatives fail is that typical approaches to change management don't take in to account human biology and that we are wired to resist change. Today’s change occurs in a myriad of ways from shifting technology to reorganizing functions to seeking new customers and operating globally. But the pace of today’s change is pushing the limits of even the most agile organizations and people. Recent discoveries in neuroscience illuminate how we learn, respond to change and ways we can maximize both flexibility and resilience. Dr. Britt Andreatta will share the latest discoveries about the brain, and how to harness human biology to reduce resistance to change and change fatigue. Author of Wired to Resist: The Brain Science of Why Change Fails and a New Model for Driving Success, she will provide key principles that maximizes the brain’s capacity to learn and embrace change. Leave this interactive session with new strategies for thriving through change and helping others do the same. Teams power more and more of today’s work. In fact, nearly 90% of today’s workers say that they spend one-third to one-half of each day working in teams. Yet 86% of employees and executives cite lack of effective teamwork and collaboration as the source of workplace failures. Add the challenge of remote teams and cross cultural communication, and it is no surprise that teams can make or break the competitive advantage of any organization. Recent discoveries in neuroscience illuminate how we can build better and more effective teams. Dr. Britt Andreatta will share the latest research about the brain, and how to harness human biology to enhance collaboration, trust, productivity, and why meaningful metrics of inclusion stem from belonging and psychological safety. She will provide key principles for maximizing the brain’s capacity to work effectively in teams so that you can create and recreate peak performing teams. 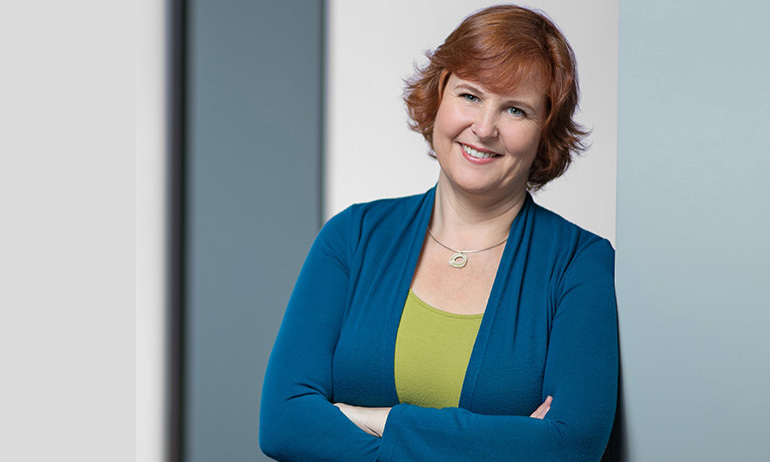 Britt is the author of Wired to Connect: The Brain Science of Teams and a New Model for Creating Collaboration and Inclusion and will share the new Four Gates to Peak Team Performance™ model. Research on the neuroscience of learning continues to evolve, adding new understanding to how the brain learns, builds memories, processes failure, and shifts behavior. These findings are shaping how learning should be designed by educators and experienced by learners. At the same time, technology has completely transformed what is possible in learning making it not only faster, but more realistic, effective and affordable…IF it’s used correctly. All learning occurs in the brain, regardless of the media through which it is consumed, and by understanding how we learn, you can intentionally maximize your potential. Join Dr. Britt Andreatta, author of Wired to Grow and The Neuroscience of Learning, as she shares best- and next-practices in brain-based learning. You’ll gain strategies to maximize learning, both your own and others’. As the former Chief Learning Officer for Lynda.com, she consults with organizations around the world on how to maximize their learning solutions to yield phenomenal results. Her research on the brain science of success has transformed the talent industry. Purpose is the driving force that gives our lives meaning. Humans are wired for purpose and in fact, recent discoveries in neuroscience offer a fascinating look into what motivates us to become our best selves. The ability to align purpose is what distinguishes the most effective leaders from the rest, and purpose is at the heart of engagement, productivity, and retention. It's no wonder that organizations that know how to harness the power of purpose thrive and excel while their peers falter or fail. Dr. Britt Andreatta will share the latest research about the brain science of purpose and why it's such a powerful force. You'll learn how you can leverage purpose to create a better work environment, more engaged/fulfilled employees, more effective leaders, and a positive culture that attracts and retains top talent. You'll leave with tips and strategies for enhancing purpose, all of which will contribute to your organization's success. Your organization is up to big things and talent development is vital for achieving your goals. Building a culture of learning based on the growth mindset will yield all kinds of benefits including increased performance and productivity, enhanced employee engagement, and retention of your top talent. You already have a culture of learning but it may not be driving the results your talent is capable of and your organization needs. Learn how to implement the Growth Culture Model™ to enable continuous improvement. Discover the neuroscience of potential and how to unlock people's natural hunger to learn and improve. Dr. Britt Andreatta will share the latest discoveries about the brain, and how to harness human biology to bring out the best in your talent. Author of Wired to Grow and Creating a Culture of Learning, Britt will show how creating a growth mindset culture and investing in learning will increase employee engagement, productivity and adaptability. Leave this interactive session with new strategies for intentionally building the professional capacity across your organization. Headlines are blazing with stories on harassment and the launch of the MeToo, and TimesUp initiatives. While they started in the entertainment/media industry, these discussions are resonating with people all around the world. The reverberations are driving strong emotions and difficult conversations in our workplaces, at dinner tables, in classrooms, and government chambers. Dr. Andreatta will discuss the biological force behind this tectonic shift and what it means for workplace interactions as well as organizational structures and policies. Dr. Britt Andreatta is a thought leader who studies the brain science of humans at work and brings a unique perspective to this issue. As an executive, you need to provide guidance to your organization during this critical time. You’ll gain new insights and tools for navigating the shifting landscape. Topics include the brain science of harassment, silence, shame and defensiveness; the role of unconscious bias, micro-aggressions, privilege and power; and how to reframe training, policies and risk mitigation to create more respectful and inclusive workplaces.